Tokyo, February 7, 2013 – Fuji Heavy Industries Ltd. (FHI) - the maker of Subaru automotbiles and Subaru Tecnica International Inc.*1 (STI) announced FIA International Rally activities for 2013. The company manages motorsport activities of Subaru. The company’s president is Hiroyuki Karamatsu. Subaru will continue to support participants driving Subaru vehicles in the FIA World Rally Championship 2 (WRC2) which is held from 2013. This support is called "SUBARU Challenge Award" which was established to support drivers' activities in the Production Car World Rally Championship (PWRC) from 2011. It will be awarded to drivers who finish within the top two in each of the rallies. Qualifying rallies are all thirteen rounds *2 of the 2013 WRC2. Drivers who have registered with the WRC2 for the year and guest entrants are eligible. Eligible cars are the Subaru vehicles which conform to Group N (N4) regulations. *2: Round 1 (Monte-Carlo) is included. 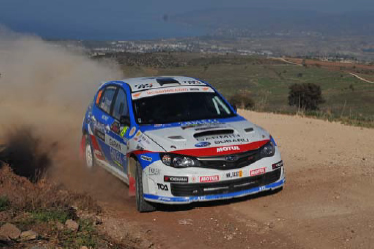 Subaru will support drivers who participate in the European Rally Championship (ERC) organized by FIA. ERC is a new rally championship promoted by the EUROSPORT *3. It was integrated with the former Intercontinental Rally Challenge (IRC). As for drivers, Toshihiro Arai (Japan) and Andreas Aigner (Austria) who participated in the IRC will be supported by Subaru in 2013. *3: EUROSPORT is a pan-European TV sports channel.